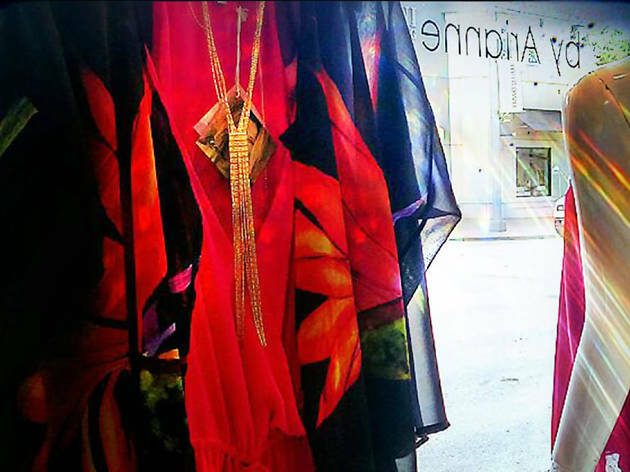 Each one of the intricate patterns and swirly designs that adorn Ramona LaRue’s breezy, silk pieces are hand-painted and transferred on by creator and Coconut Grove native Arianne Brown. Trademarked by bold prints and billowy silhouettes, the Miami-born line comprises feminine dresses, flowy skirts and other warm-weather staples. Ramona LaRue has locations in South Beach, Coconut Grove and Midtown.